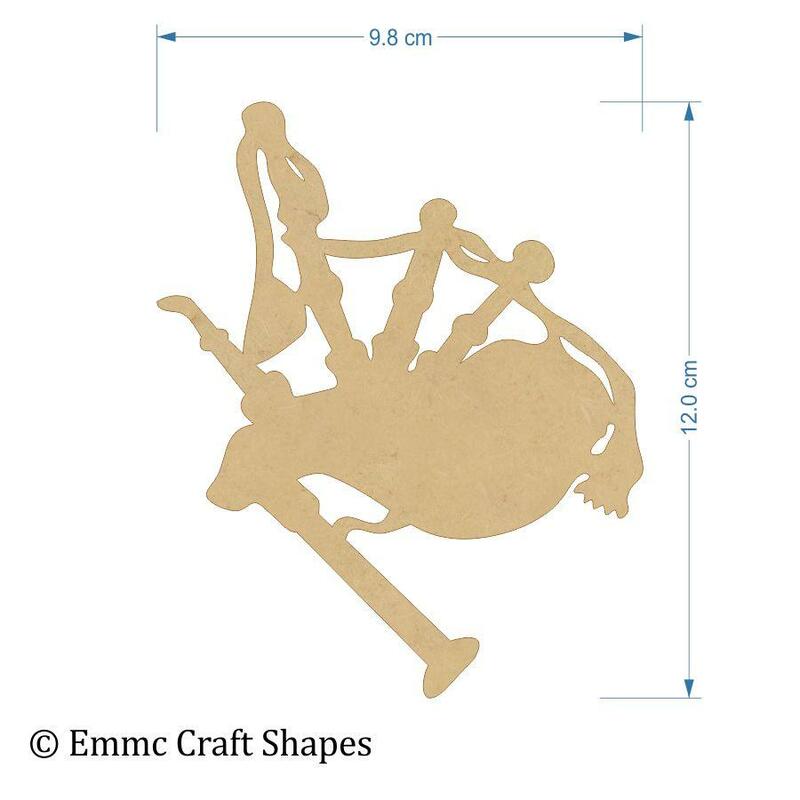 3mm thick mdf bagpipe cutout. 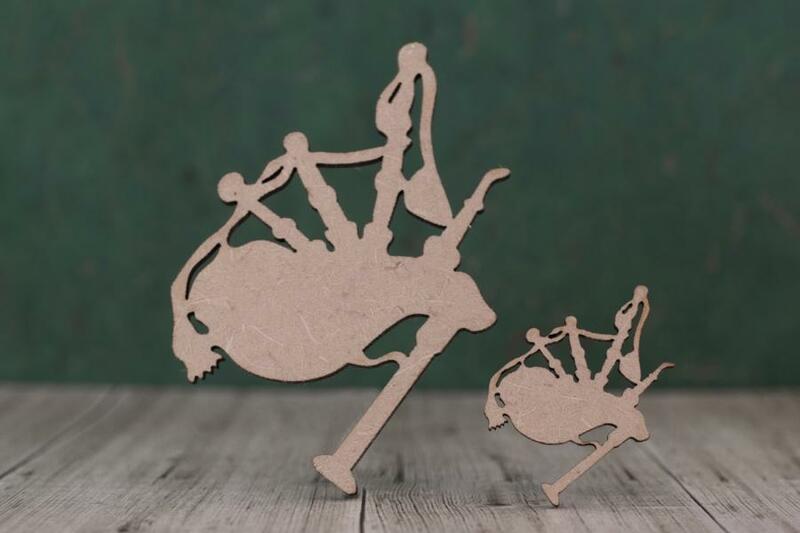 These wooden mdf bagpipe shapes are laser cut from 3mm mdf. 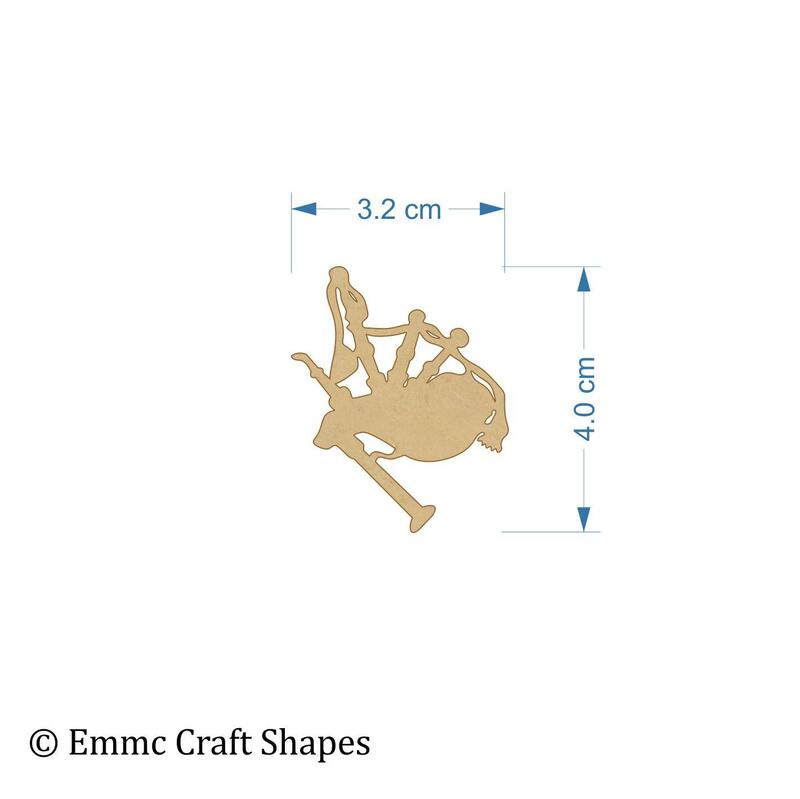 They have a smooth finish which makes them suitable for crafters of all abilities to decorate. The bagpipes are great to paint, decoupage, embellish or colour in with pens. 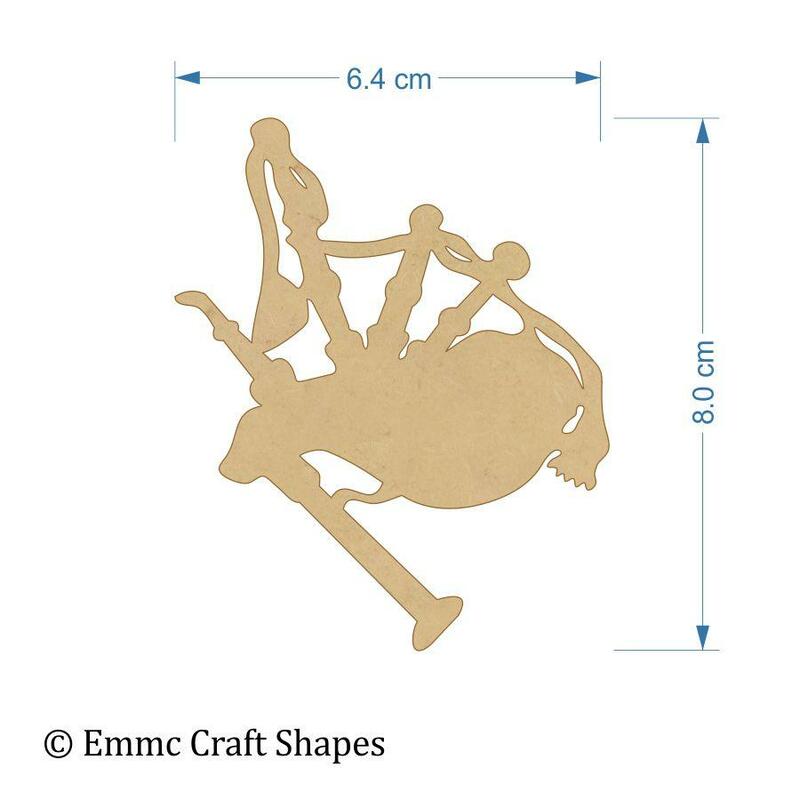 These shapes will make your scottish or music themed craft projects complete, or why not use the wooden bagpipe shape as a souvenir from the highlands.